How hard is it to do the Ketogenic Diet for OTR driver? I would think it would be a pain to get the food for the week at Wal-mark if you have time for it. From my understanding is that most drivers just eat at the truck stops vs cooking food in the truck not sure if it's true or not. How did you like the Ketogenic Diet from what I know about it's the best Diet to go on for type 2 diabetes and would help with High blood pressure. 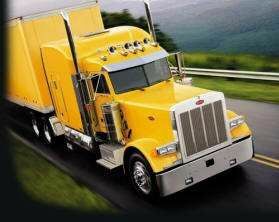 Congratulations on getting your CDL!!!!!! Thanks how often do you use your road atlas? Is it just to double check GPS to make sure the GPS is right? As a new driver that just got his cdl should I get a road atlas before I go on a trainers truck or should I wait until I get my own truck? Do you have to keep upgrading the road atlas each year or Just wait a year or two before getting a new one? I am thinking about getting the rand McNally Motor carrier atlas 2018 was told this was the best atlas to get not sure if it is or not. What do you think is better between the Garmin or rand McNally? So is the sleep study mandatory now? I was thinking about going to swift vs prime and to do with the sleep study before I go. So would it be better if I did the sleep study before I go a company or just wait until I go one and have them do a sleep study? Thanks my Insurance I have now will Cover a sleep study so that is why I am thinking about getting one done before I go a Company. I also hear good things about prime unfortunately for me while I was in truck driving school I was told they don't like to hire people that are on high blood pressure medication that and it is harder to get a job at prime vs other companies. So I been reading a lot lately that most companies are forcing sleep Studies on driver just because they are overweight is this true? The reason why I ask is because I am overweight and to my understanding the dot Doctor would only give out a month to 3 month medical card if he or she thinks you need a sleep study is this true? I am thinking about getting a sleep study done before I go a Company so I don't have to worry about that when I go to one. I PASSED THE CDL TEST!!! I am now a fellow CDL license holder, and my good friend and recruiter is helping me be job placed! Congratulations Victor C. II on getting your CDL. How does the Werner Simulators and CWM (Close Quarter Maneuvers) work out? I think it is great that they have that because it would help me out. Thank you, Scott L. aka Lawdog and miracleofmagick for your reply to my post. I was push back from orientation until Monday. I am having orientation at the Fontana location. Thank you, I am just so nervous because I would have like more time behind a wheel then what I got at my school. I did get my CDL thanks to the school but I feel like I should have more time driving and backing up. I start orientation on Friday at Werner and very nervous about it because have not driven a truck in over a month. I am not sure what to expect at orientation and that I am a new driver. I start my training with Werner next with and not sure to expect while I am there. How much cellphone data do you use? hello, I am not sure my how much cellphone data I would need while I am over the road. How much data do you use while over the road? My current data plan is 16 gigs of data with Verizon. I was reading up that Verizon is the best cellphone provider to get while on the road. The reason why I ask is because Verizon is going to have unlimited data plan back again and might get it if I need more data. Sleep apnea And Sleeping Pills? Thank you rick s for your post it help me so much. It sounds like I can't work for a company that does the hair follicle drug test. I am thinking about getting doing the sleep study when I do go a Company because I have to think about others on the road not just myself and it is only money. I don't want to put lives in jeopardy if I do have sleep apnea and don't know it. Thanks I have my cdl and a medical card for a year but I do have a hard time falling a sleep that and saying a sleep. I do take sleeping pills from time to time. Thank you. So how does it work out if you have to do a sleep study? Do you have to pay for the study or does the company pay for it and have to pay them back?